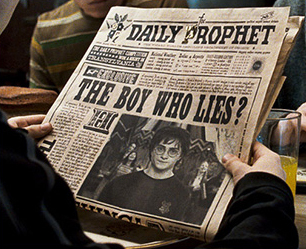 – Harry Potter Fan Zone’s news posters are responsible for providing timely, accurate, and relevant Harry Potter news to our thousands of loyal readers. They provide the bread and butter of the site: the news, which appears on the home page. – News posters should aim to post at least five news stories per week. Understandably, there are times when news will almost be non-existent – between movies, for example. The aim of the position is to help keep the site up-to-date with whatever news is available. – The ideal applicant will have experience writing news; some familiarity with WordPress blogging sofware; basic photo editing skills; excellent writing skills and impeccable syntax. Applicants with some or all of these skills and characteristics are much more likely to be considered for the job. – Don’t fret if you’re unsure about any of the above points (where to find news, referencing, using WordPress, and so on). We’ll teach you everything you need to know to be successful!